The Basler PowerPack for Embedded Vision is a development kit for integrating a Basler dart camera with a BCON for LVDS interface. It contains a dart camera module, a processing board based on the Xilinx ZYNQ®-7010 as well as additional accessories and offers a complete sample setup for an LVDS-based camera connection. Ahrensburg, 08 November 2016 – Basler’s development kit simplifies the often-complex and time-intensive task of integrating LVDS-based camera modules into embedded vision applications. To achieve this, the Basler PowerPack for Embedded Vision contains reference implementations for both the hardware and software side that can be used as a template for designing a complete embedded vision system. It paves the way for developers to integrate a Basler dart camera with the BCON for LVDS interface into an SoM (system-on-module) with suitable architecture. The Basler PowerPack for Embedded Vision is comprised of a Basler dart camera module with the BCON for LVDS interface and 5 megapixels of resolution, a lens, a processing board with Xilinx Zynq®-7010 SoC (system-on-chip), cables, and additional accessories. Beyond this, the development kit contains a reference implementation demonstrating FPGA-based image capture by the Zynq SoC as well as connection of a dart BCON camera module to the Basler pylon Camera Software Suite. The kit serves as the perfect stepping stone to custom development, illustrating how the camera module can be addressed and configured via the pylon SDK. The development kit supplements Basler's embedded vision offerings; this includes various camera modules with USB 3.0 and BCON for LVDS interfaces, an evaluation kit with a dart USB camera, software, and components. Series production for the PowerPack for Embedded Vision will be launched together with the Basler dart BCON series in early 2017. 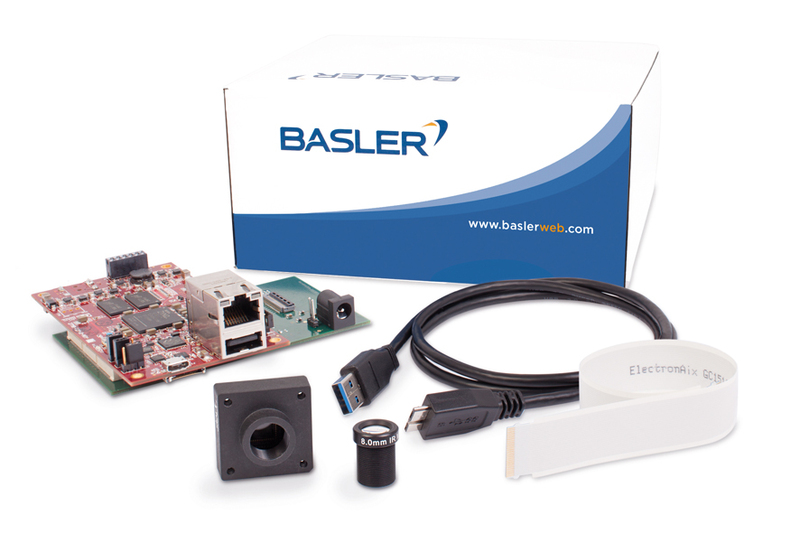 Learn more about the development kit and more Basler products for embedded vision applications at www.baslerweb.com/embedded.